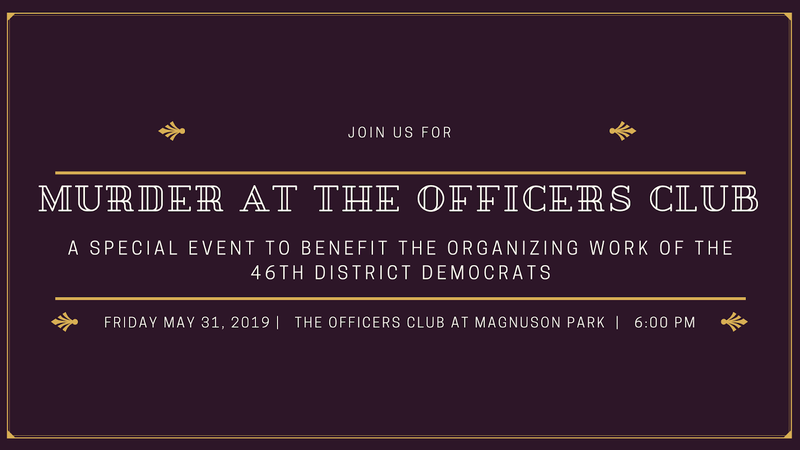 The 46th District Democrats are hosting a Murder Mystery Night on Friday, May 31, 2019. 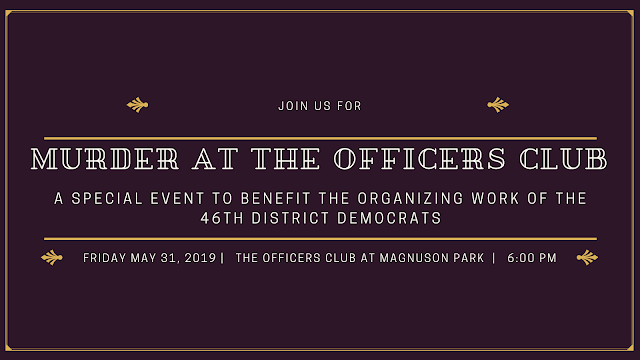 All proceeds will benefit the organizing work of the 46th District Democrats. Last cycle, we not only had the highest voter turnout in the state, we also sent over 100 volunteers to knock on doors in swing districts. We’re committed to continuing to invest in building Democratic majorities in the run up to 2020.